Andrew Miller made a batter look silly last night. 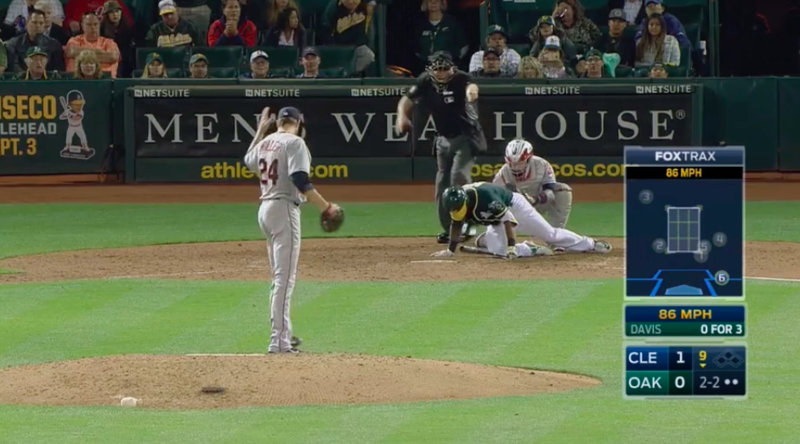 Andrew Miller makes batters look silly most nights, but last night, a batter looked particularly silly. One surefire way to identify a batter who just got done looking silly is to check whether he’s laying down in dirt right after he swung. Let’s see. Q: Was This Major Leaguer Laying Down in the Dirt Right After He Swung? That there batter sure looked silly. The good news for Khris Davis is, he’s not alone. He didn’t even take the season’s most ill-advised swing against Miller. 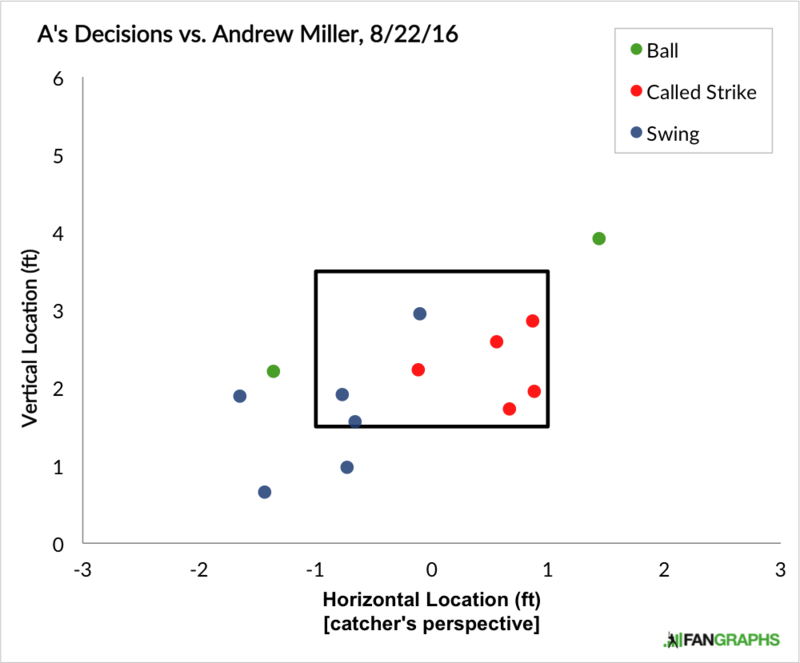 As our own Jeff Sullivan pointed out back in May, maybe the thing Miller does very best is force hitters to take ill-advised swings, at least certainly relative to the ones they don’t take. I’ll explain. When Jeff wrote his article in May, Miller’s O-Swing% against was higher than his Z-Swing% against, making him the only pitcher in baseball with such a distinction. To translate that into English: batters were swinging at would-be balls from Miller more frequently than they were swinging at would-be strikes. That’s not how hitting is supposed to work. Apologies if those felt at all underwhelming. 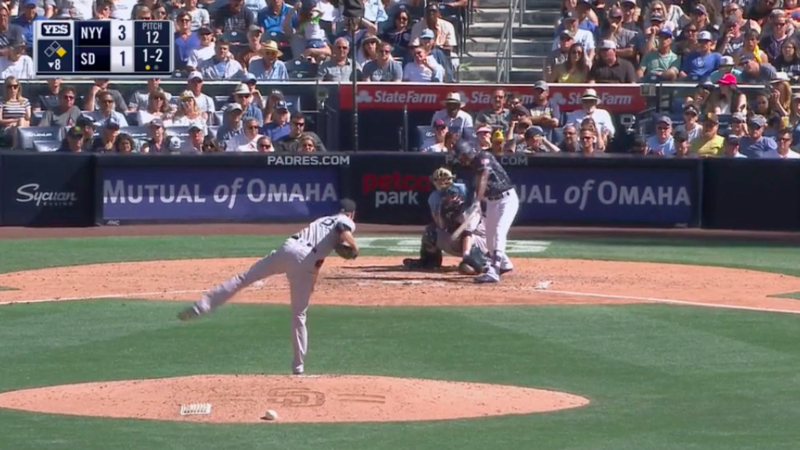 But, I mean, look at that Seager pitch. These swings were even more ill-advised than Davis’, which really says something. I guess it’s tough to compete with a dude that fell over. 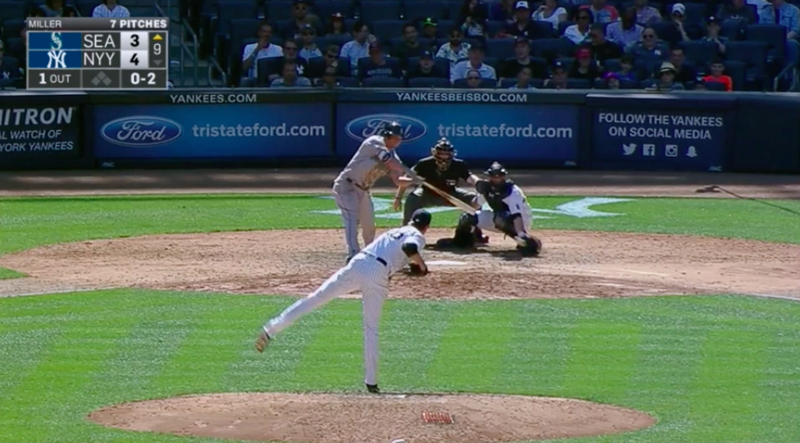 We hoped you liked reading The Three Silliest Andrew Miller Swings of the Year by August Fagerstrom! 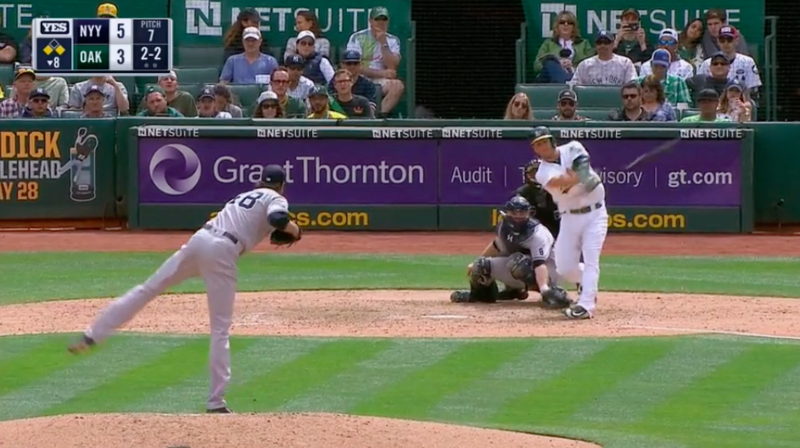 Seager’s bat would literally need to be twice as long to square that one up. He could cue one off the end of the bat at less than twice as long, but to actually hit the fat part of the bat, his bat would need to be twice as long.